Studio Blinds have been supplying window coverings to homes and businesses since 2000, providing the highest quality, choice, design & service in the industry. 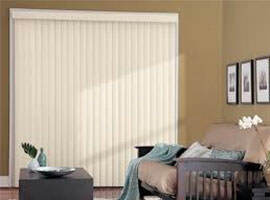 Studio blinds has a very extensive range of fabrics and sheers to choose from that will complement any home. We supply and install the finest quality Tracks and Rods. Bay windows, corner windows and reverse curves are our speciality. Shutters not only make your home look stunning, they have great insulating properties that also set the atmosphere in any home and increase your property’s value. 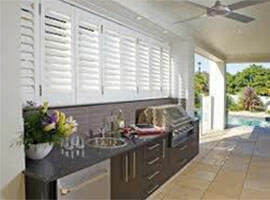 Shutters are perfect for enhancing your outdoor area. 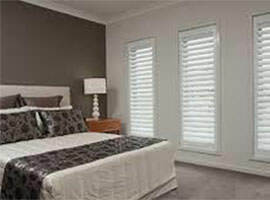 The team at Studio Blinds custom makes and architecturally designs our range of outdoor shutters. Studio Blinds prides itself on not only giving the best possible service it also stands by its Motto which is to be Leaders in Quality, Choice and Design. Here at Studio Blinds we not only offer you the customer the best possible solution for your window coverings, we in fact make sure that you are completely satisfied with what we deliver, some of the staff here at Studio Blinds have been in this industry for over 30 years, so we make sure that as a customer you are receiving the best possible Quality, Choice & Design and let’s not forget the most important, SERVICE! If we don’t have the product that you are looking for we will source it for you to make sure we stick with our commitment in being Leaders in the industry. We recently had Studio Blinds install roller blinds on all our bedrooms and we couldn’t be happier. The consultant suggested a colour that works perfectly with our décor, they were installed impeccably and at the right price. I’m pleased to say customer service and quality are not a thing of the past. I recently rebuilt my home so needed new blinds for every window in the house. When the quote arrived I was dreading opening it, but I must say I was pleasantly surprised! The quote was within my budget and covered absolutely everything — there were no hidden extras. And on top of this the service was fabulous. Thanks Studio Blinds, you provided the finishing touch to my new home.